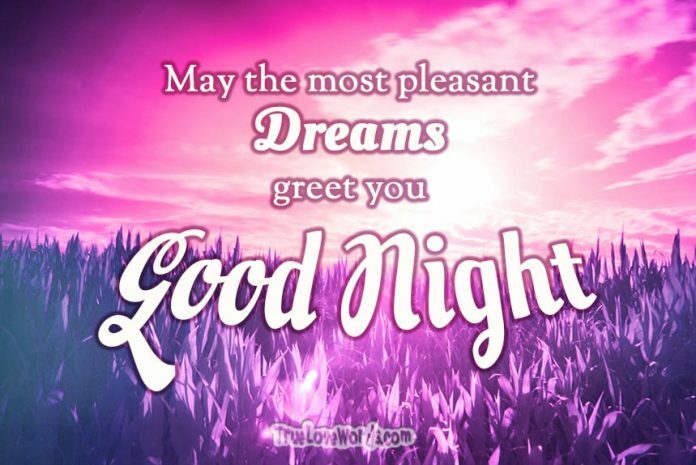 Bring sweet dreams to your lover, by sharing one of the most romantic good night messages listed here. Let your lover sleep peacefully, knowing that he/she is in your thoughts. ♥ I sleep peacefully at night knowing that I have such an amazing man to share my life with. I look forward to seeing what tomorrow brings. Until the morning, my sweet love! ♥ I’m the luckiest girl in the world to have the pleasure of saying hello to you each morning and goodbye to you each night. May the most pleasant dreams greet you, sweetheart. ♥ Sleeping without you is hard, but knowing you are too tired to face tomorrow would be even harder. May sleep find you quickly so that you have the energy to enjoy another day of fun adventures with me. ♥ I wish I was there to watch you drift peacefully off to sleep, your dark lashes fluttering softly against your tanned skin. I’ll have to settle for the next best thing- wishing you good night and sweet dreams! ♥ I’m missing you dearly, my love. Since I can’t kiss you good night in person, I’ll look forward to stealing sweet kisses from you in my dreams. ♥ Although the sun has set on this day, it will never set on our love. It will forever burn brightly, shining light on each aspect of our lives. We’ll speak again when the sun rises. I love you, always and forever. ♥ I long to feel your arms around me and to taste your sweet kisses. Being apart from you is agony, so may peaceful sleep surround us both until the first morning light peeks through the window. Goodnight honey! ♥ Even in my dreams, I know you’ll protect me. Goodnight, my knight in shining armor. I love you to the moon and back. ♥ When I say my good night prayers, you’re the first thing I thank God for. I’m asking Him to send extra love to you tonight since I can’t be by your side. Sweet dreams, honey. ♥ The only thing sweeter than having you as my man during the day is having you in my dreams at night. Goodnight, baby. ♥ I take comfort in knowing we’re both looking at the same moon. It makes me feel close to you, even though we’re miles apart. Until the sun rises, my love. 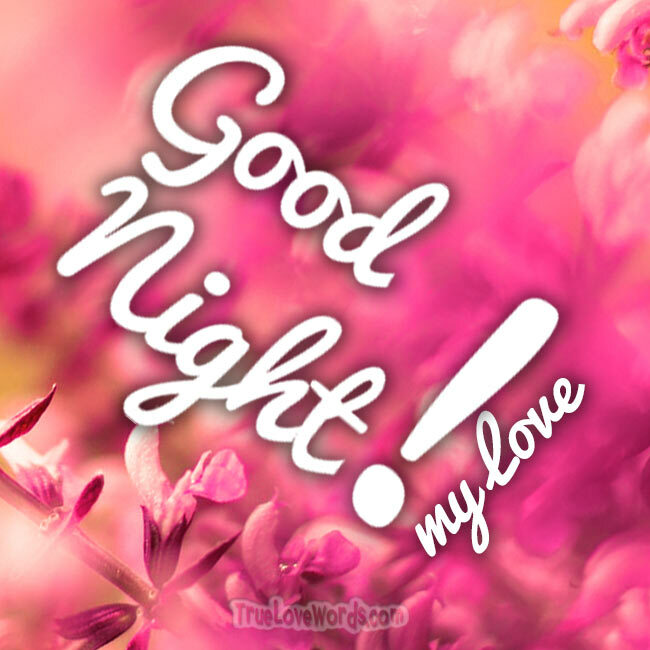 ♥ May this good night text wrap you in a hug so tight you’ll feel cocooned in my love till the morning. Pleasant dreams, babe. ♥ How lucky am I that you’re the last thing I think about before I fall asleep and the first thing I think about when I wake up in the morning. May you find dreams as wonderful as the love you’ve brought into my life. ♥ Of all the things I’m grateful for in this life, you’re number one. Good night to the love of my life. ♥ The day is done, it’s time to dream. May you sleep peacefully knowing we’re a team. Good night honey I love you. ♥ Doesn’t it bring comfort to know that we have each other, through the good times and the bad, day in and day out. As this day comes to a close, may that comfort bring you a calm and restful night’s sleep, my dear. ♥ Never has there been a love so great that it can surpass even the wildest dreams. Dream big tonight. We’ll conquer the world tomorrow. ♥ You bring butterflies to my stomach during the day and tranquility to my heart at night. I’m so blessed to have you as my boyfriend. Sweet dreams, baby. ♥ May your sweetest dreams tonight become a reality tomorrow. I can’t wait to hear all about them in the morning. Good night honey I love you. ♥ As I fall asleep to the sound of the crickets chirping outside of my window, the excitement is building within me to hear the birds singing in the morning. It’s then that I’ll know we’re mere moments from being together again. Sweet dreams. ♥ Sometimes my love for you is so strong, it wakes me from a sound sleep. You’re like a magnet, pulling me towards you even on the darkest night. I love you eternally. Good night. ♥ How did I get so lucky? To have a man that makes my reality even more incredible than my dreams. You’re one in a million, babe. Have a peaceful night’s rest. ♥ The stars tonight are shining so bright, they almost compete our love. Almost. Nothing can truly compete with the brightness of the flame that burns between us. Sweet dreams; Love you always and forever. ♥ The only thing better than spending this day with you is knowing that I get to do it all over again with you tomorrow. Get a good night’s sleep. ♥ I wish I was your pillow so I could rest myself against your cheek the whole night long. I’ll have to settle for this good night text and the promise of hearing your voice tomorrow. I love you. ♥ Everyone says they wish they could sleep like a baby. I don’t. Since I met you, I’ve never slept better. Knowing you are my boyfriend brings me such happiness and peace. May your sleep be just as restful. ♥ I don’t even need to dream anymore. My dreams came true the day I laid eyes on you. Now I only sleep to make the hours pass quickly until we can be together again. Always and forever, babe. ♥ When you wish upon a star, I hope you know how loved you are. For there has never been a love so true than the one that has blossomed between me and you. Good night to my everything. ♥ When I have trouble falling asleep, I count all the reasons I love you, not sheep. One, two, three, four, I’ll forever love you more. ♥ Now I lay me down to sleep, I love you from my head to my feet. If I were to die before I rise, may you always know I was blessed to have you as my guy.